Pretty spring colors of Dusty Pink/Dusty Blue/Yellow/White 100% hemp twine - perfect for any small to medium crafting project! This cord is waxed and polished to eliminate stray fibers, maintain strand consistency, and to enhance its brilliant colors. 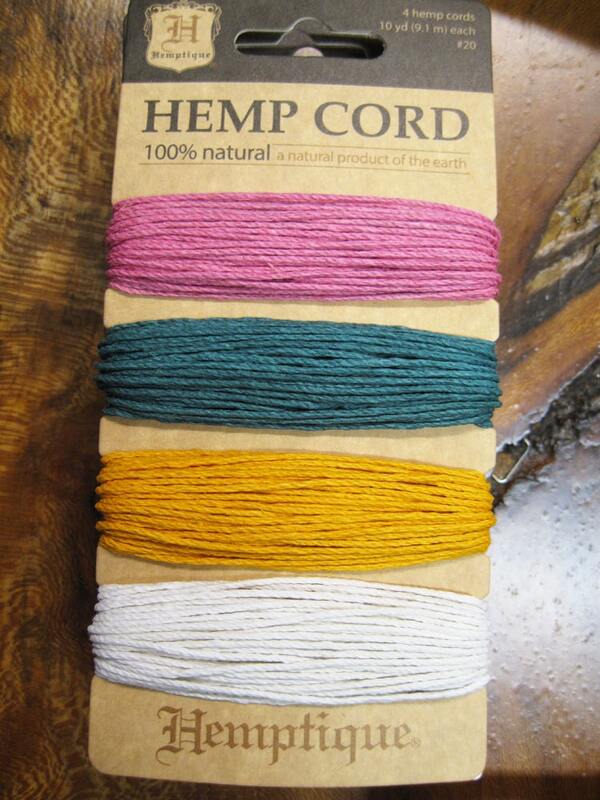 Hemp cord has an endless array of uses: macrame, jewelry making, scrapbooking, greeting cards, gift wrapping, crochet, and much more! You will receive 4 colors of shades of spring hemp cord; each color is 29.8 feet or 9.1 meters of 20#, 2 ply hemp cord (1mm in thickness). Why is hemp a great product? It is biodegradable, eco friendly, made with an AZO-Free Dye, and is oil free! Hemp Trend designs the finest quality Eco-Chic hemp cord. It is the perfect choice for your crafting needs. Designed in the USA. Prompt shipping, exactly as described.